We may be just a few weeks away from seeing Sony’s next flagship phone as it's sent out invites for a MWC 2017 press conference on Monday, February 27. While the invite doesn’t give anything away with teasing graphics or words – it simply states “you’re invited to see the latest innovations” – we can be relatively sure it’ll have a smartphone or two up its sleeve. 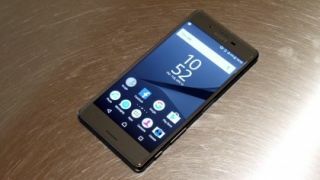 The Sony Xperia X2 is the biggest name of the rumored handsets to potentially make an appearance at this event, and it would see the Japanese firm continue its six month cycle of flagship launches. Current leaks suggest the Sony Xperia X2 will have a 5 or 5.2-inch full HD display while the design will remain largely the same as the current X series of handsets. It's also tipped to have a Qualcomm chipset and 4GB of RAM, which would ensure it at least has flagship power under the hood - although a mid-range 600 series chip may take priority over the premium 835 which could be reserved for the Xperia XZ 2 later this year. We could also see some mid-range devices, new Xperia tablets and even a wearable or two from Sony. With Google expected to launch Android Wear 2.0 at the start of February, MWC would be a great launchpad for a new smartwatch. TechRadar will be reporting live from Sony's MWC press conference to bring you all the latest on the new launches.